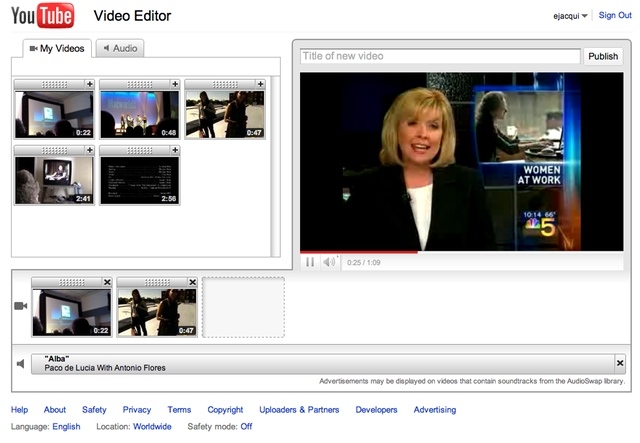 Earlier today, YouTube introduced a simple and very easy to use cloud-based video editor for its millions of users. Creating things like mashups couldn’t be more simple thanks to the new system, requiring users only to drag their clips into sequential order, trim each clip to length, and then throw in some music and titles. Like we said, it’s a very simple system that doesn’t offer a whole lot of options. But for the average person who possesses neither the right software or the know how, YouTube’s solution is pretty spot on.